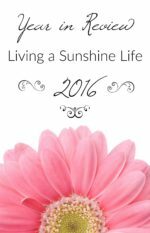 When I started Living a Sunshine Life, I had no idea the treasures I’d find through my blogging journey. I have learned many things, met many people, and had opportunities I never would have imagined possible before I started blogging. For me it really turned out to be a treasure trove, so I thought I’d share some of my gems with you! New Interests: When I became a mom I sort of forgot how to be anything other than a mom. 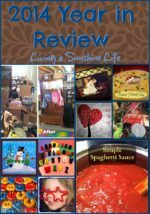 Through blogging over the past few years I’ve discovered some new interests, and found a renewed love for some of my past interests. I’ve also discovered some of my old interests and realized I no longer have the same love for them so I’ve set them to the side as a wonderful memory of my youth and I’m embracing the growth of my interests and personality. Some of my new interests are photography, especially food photography, creating printables, and party planning (though I really haven’t done much with it on the blog yet, it was through blogging that I discovered how awesome it can be). Old interests I’ve rediscovered are crochet, scrapbooking, writing and cross stitch. Inspiring Friendships: I never realized how many amazing people I would meet as a blogger. 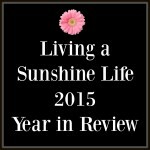 Initially I thought it would just be me, blogging about me and the things I did. 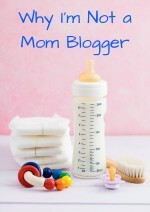 It quickly became apparent to me that blogging is a community event! I have met bloggers both locally and online (some of whom I’ve had the wonderful opportunity to meet in person). I’ve had readers reach out to me and we’ve had some meaningful conversations both through the comments and through email. Also, the networks and brands I’ve worked with. It has really opened my eyes to the diversity and beauty of the entirety of the blogging world, from fellow bloggers, to the audience, even the sponsors of some of my posts. Wonderful people everywhere I turn! Community Involvement: Social anxiety has plagued me for years. While I want to be around people my fuse is short and I mentally tire quickly when surrounded by people. Over the years I slowed down on how much I went out, which worked out great when the kids were younger. Now they’re older and we’re ready to get out in the community more. Thanks to my blog, I’ve had many opportunities to attend events and experience different venues in our area. 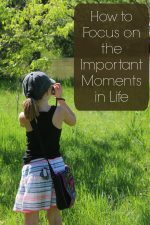 This has also meant the kids have had many more experiences in the community than I had the chance to have growing up, which is mostly situational, but it has been the blog that has given me the shove in the right direction. Facilitating Purpose: As a new mom I sort of lost my life direction. When my husband deployed and I quit my job to stay home, I felt I’d lost my life purpose. Looking back, I laugh. Really, my purpose was not to spend all my time in a production environment. It doesn’t meld with anything I have going on in my life right now, and I was just stuck in a place without realizing I could make more room to grow. I also learned, I can have more than one purpose. Who knew! Now I’m able to make a monetary contribution to our household which is something I personally feel I need. Not everyone needs that purpose, but it’s an important one to me, so the paid opportunities I’ve received through blogging were much needed to fulfill that aspect of my life. The other purpose I have is helping people find a more positive life outlook, and with my ability to create content and continuing to evolve how my blog and social media content looks and is presented I can keep working with this purpose. Something I would have been clueless to had I never started blogging. I would have felt my purpose but not known the best way for me personally to utilize it. 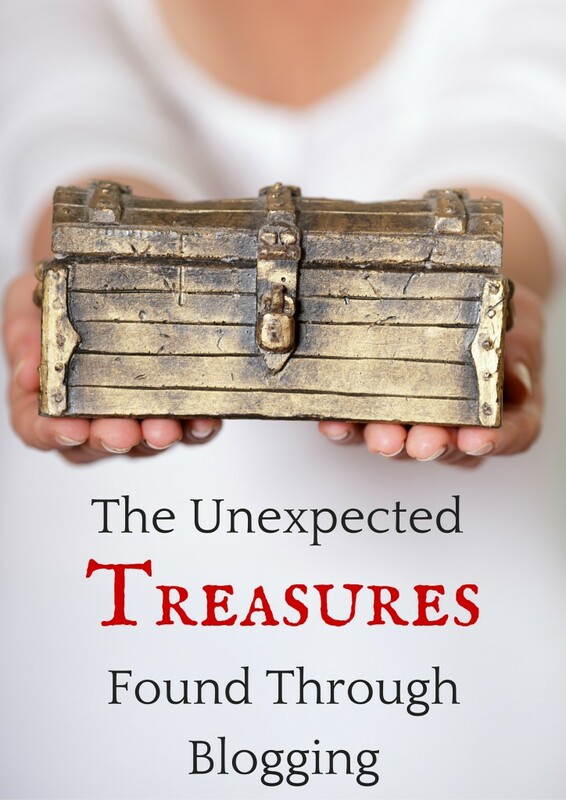 What treasures have you found in different aspects of your life? I’d love to hear what you’ve discovered through you life journey. Please share yours in the comments below. Love this post! Yes, blogging opens us up to so much. We meet others with similiar interests and really learn more about what we like and what we want to focus our happy time on.